Good morning all! Jerm here with an update for you on a great exhibit coming to the Tampa Bay History Museum, that if you are like me, it will certainly bring out the nerd in you! Darth Vader. Luke Skywalker. Captain Kirk. Klingons. The Terminator. Ghostbusters. These classic heroes and villains will all be spending time together when the Tampa Bay History Center opens Out of This World: Extraordinary Costumes from Film and Television, on exhibit October 1, 2011 through January 7, 2012. 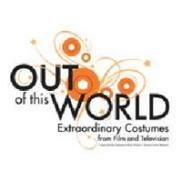 Out of This World: Extraordinary Costumes from Film and Television will feature more than 30 costumes and related objects from science fiction films and television programs such as, Star Wars, Blade Runner, Terminator, Star Trek, Battlestar Galactica and Batman. The exhibition will allow visitors to examine how costume design incorporates color, style, scale, materials, historical traditions and cultural cues to help performers and audiences engage, in new or accepted ways, with the characters being portrayed. The History Center has planned a variety of events and educational programs to compliment the exhibit, including children’s activities, HISTeria, an adults-only costume party, film screenings and more. Out of This World: Extraordinary Costumes from Film and Television is organized by the Science Fiction Museum and Hall of Fame in Seattle and will be on exhibit in the History Center’s Wayne Thomas Gallery through January 7, 2012. For more information on the exhibit and related programming, visit www.tampabayhistorycenter.org. Also, check back for more arts and culture in Tampa Bay related events!